A couple of months ago I stumbled upon a blog post talking about the Snail Mail Collective. I was instantly smitten with the idea of having another blogger to exchange gifts with, so I wasted no time in signing up. Two weeks later I was introduced to my exchange victim... I mean... partner, Sophia from Sophierocious. Um... cutest blog name ever, right? 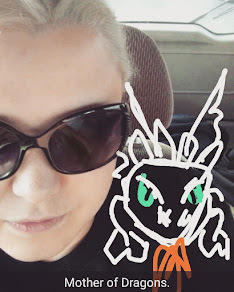 And after actually looking through her blog, I realized we had a lot in common. She's into video games and all sorts of nerdy stuff. And she's a Hufflepuff! Too cool. We e-mailed back and forth, and I really enjoyed getting to know her. 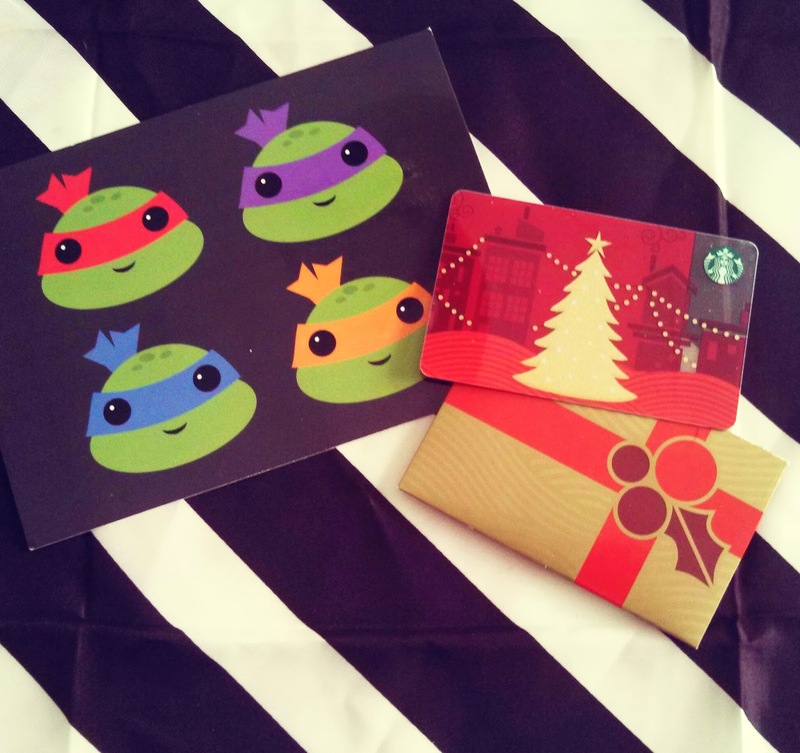 When my present finally came I was delighted to get an adorable TMNT postcard and a Starbucks giftcard. But... I have a confession to make... I've never had Starbucks. Crazy, I know. I mean, I went through 5 years of college without stepping into one. Its pretty much unheard of. So I'm super excited to give this gift card a try. Thanks again to Sophia! It was a joy to meet you. And next time I get by a Starbucks, I'm going to have to pick up a drink. What should I get? Any suggestions? Aww, man! I totally forgot to post about my swap with you! Must remember next month! You're welcome and I've enjoyed getting to know you too. I suggest a peppermint mocha latte! It's my favorite holiday drink.